Welcome to a new series on Dreams at Inspirations and Creative Thoughts. We are very much blessed that among those who are drawn near here, many of them are gifted with powerful spiritual visions and dreams. In this segment we will be sharing some of these original dreams with exclusive permission from the dreamers and where appropriate by preserving anonymity. Dreams / Visions are significant and interpretation of dreams is a sacred Islamic wisdom tradition which is still preserved by advanced guides on the Sufi Path. For the Sufis, for serious seekers - dreams hold greater significance than what we understand as dreams in the everyday sense. Llewellyn Vaughan-Lee, a contemporary Naqshbandi Shaykh writes in the opening section of his book, In the Company of Friends - Dreamwork within a Sufi Group on why dreams are important: "Dreams come from the unknown. Sometimes they retell the images of our daily life or lead us down confused corridors. But some dreams speak with the voice of the soul. They have a quality, a music, a depth of feeling that belong to the sacred part of ourself. They open a hidden door into a beyond that is also the most intimate part of our inner being. Listening to these dreams we can hear the voice of our deeper self. Speaking to us in its own language, a language of images, symbols, and feelings, a dream can guide us through the tortuous maze of our psyche. As both teacher and guide, these dreams are of infinite value on the inner journey. They call us inward into the mystery and wonder that is our real nature. When the body is asleep, when our everyday life has laid down its burdens, these dreams tell us of another world and of a winding pathway that can lead us into the depths." Ith qala Yoosufu li-Abeehi: Ya Abati innee raaytu ahada AAashara kawkaban wa ash shamsa wa al qamara raaytuhum lee sajideen. From the dreams of the Prophet Joseph and Nebuchanezzer down through the ages to our own time, there has been no community which has not regarded dreams as messages to be decoded so that their meaning can be understood and benefited from in the spiritual as well as the temporal domains. Another contemporary Sufi guide Kabir Helminski meaningfully writes, "In one sense, the process of spiritual realization is the progress from subjectivity to objectivity. This progress is reflected in the quality of our dreams when they are consciously observed: gradually they change from confused, personal, subjective imagery to objective and meaningful symbology, to states... and sometimes to clear communication with sources of knowledge... the nature of our dreams changes when we have come into contact with an authentic source of spiritual transformation. This state of mind is the natural (not supernatural) human state in which our intelligence (which is the intelligence lent us by Allah) is not veiled from us by desires, obsessions, or other forms of negative conditioning." 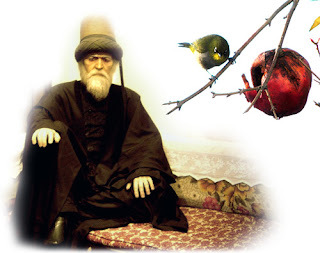 - in Islamic sacred tradition, earlier reference of dream interpretation by the holy Prophet, upon him be peace, inform us that in his early community, often he would invite the companions to share their dreams among gathering (particularly after the fajr prayer) and there are many wisdom in it. The sharing in this series is in the footstep of that tradition. - the holy Prophet said "When the time draws close, the dreams of a believer will hardly fail to come true, and a dream of a believer is one of the forty-six parts of prophethood." (Bukhari), thus this sharing is also intended to be a sharing of truth. - to remain alert, to pay attention and to witness every gift sent by God is a real practice for every seeker. These sharing of dreams, if can do nothing but if at least inspire you to pay attention and become witness to your own dreams, that itself will be beautiful. In Sufi Path, an enlightened authority with preserved chain of transmission, an advanced guide with special affinity for dream interpretation is an ideal person who could be counseled for dream interpretations. For this particular series, there will be no attempt to interpret any of the dreams, but will be plainly shared here with a prayer and hope that they may speak the language of your heart and soul, and with Allah's permission may become helpful to you who chance upon here. If you wish to share your dreams, feel free to send to mysticsaint@gmail.com. Prophet Muhammad is reported to have said, "Nothing is left of Prophethood except glad tidings." Those with him asked, "What are glad tidings?" He replied, "True dreams / visions." Time changes for ever, energy of age shifts, humanity moves from one cycle to another. There will never be the same level of epiphany equal to the encounter of Mighty Messenger Moses at the Burning Bush on the sacred valley or God speaking from an invisible voice on Holy Mount Sinai. There will be no more revelation on the same level of intensity as it did to Blessed Mother Mary at her veiled station in the holy temple, or the opening of heaven experience for Beloved Master Christ on the bank of River Jordan at the moment of his baptism or the descend of Archangel Gabriel in the Cave of Hira for Prophet Muhammad, the Chosen. The age of manifest revelations are sealed by the advent of the Seal of Prophets, Muhammad Mustafa, yet the door of subtle revelation of true visions / dreams are left open for humanity. Visions and Dreams are sent from alam al-mithal (the active imaginal realm of reality) in arabic, or mundus-imaginalis in Latin, The mundus imaginalis is a level of reality in which "meanings" are embodied as images which have a kind of autonomous existence. The alam al mithal is an "interworld" in which visions, which are simultaneously meanings, are experienced by a psycho-spiritual faculty, the active imagination, or what Sufis would simply call the "heart." It is important to realize that this level of perception was reliably available only to those souls which were to some extent "purified" (credit). May we all be blessed to attain that level of purity as to make us worthy to be recipient of true visions and dreams. in sleep the heart becomes a window. Receive the dust of his eyes. This is all true. though the essence may be, as these things are, illusive. but, I will try to write the simple facts and try to avoid excessive subjectivity. "I am sitting in a hall painted white, though not glaring and brilliant. a calm color. It is rather large but not overwhelmingly so. There are as many as a two dozen dervishes scattered about in my peripheral vision, both behind me and to the sides. I do not see them clearly. To my direct left is a Sheik who I know to be my guardian (he is bald with a grey beard that may or may not have been red at one time, his robes are embroidered in soft ocher yellow and red on ivory). Though I know I am not like the others, a dervish - we are all on roughly a yard square sheepskins, cross legged on the floor facing a wall. Arrayed before us are five musicians. Two drummers, an upright two or three stringed instrument and directly before me and slightly to my right is another Sheik, the Sheik of sheiks. Equal but 'above' the guardian sheik to my left. He has a dark beard rimmed into a clean spade shape and is deeply tanned with an eagles face, that is one of great authority and piercing eyes. A dark turban wrapped about a low white cone shaped hat. his robes are clean though humble plain spun cotton natural in color with a dark shawl. His left arm is a ney of ebony and gold and ivory. The music it makes is a true voice that speaks though the words are not as regular words but somehow still music. They, meaning the musicians begin the music of a sema, then they stop just as the breathing and song of the dervishes' begin. Then the Sheik of sheiks points the arm / ney at my guardian and admonish him to not be so rough and hard on me, it is a mistake, and that he must be gentler as he watches me in his duty. My guardian reply's that he has no idea that he was mistaken and realizes that the Sheik of sheik is correct and will make it so. I am overwhelmed with remorse at my guardian being corrected in public and throwing myself to my left so that I may fall over at his feet cry out in tears that I am sorry for being so difficult and that I will try even harder to make his guardianship easier. I am nearly inconsolable with my shame. My guardian lays his hand on my head to comfort me when the Sheik of sheiks speaks. I sit up wiping my tears away so that that I can pay proper attention when I notice that the Sheik of sheiks has spoken and given me a gift. In my lap sits a wounded swan, its head trying to tuck under it's wing, but it can not. I am in wonder at this gift and suddenly feel a deep compassion and gentleness towards it. I internally vow to care for it forever if it takes that long. I feel suddenly humble, knowing I am not a dervish like the others and wonder how I, of all people have been given this task. The early morning sky was quite literally gold ... the whole sky, not just the horizon, but the whole sky. The leaves of the trees glowed a brilliant emerald green. In all my years of watching the dawn, I've never seen the entirety of the sky either that color nor have I seen the whole sky that color. Gold and green completely pure in tone. I closed my eyes in an effort to remember as exactly as possible the effect so that it would not fade from memory. When I awoke further as is usual I went to the computer to check my mail. When I do this I usually put some music on as I love to listen to music early in the morning. To my surprise there was a song of Mercan Dede's in my music file. I have no memory of downloading. The Beloved's ways are beyond this heart."